Frank joined StormHarbour in September 2013, bringing over 30 years of financial and operational experience to the firm. 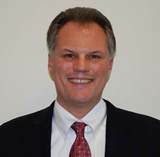 Previously, Frank served as Chief Financial Officer of Nikko Asset Management Americas where he was responsible for managing all of the support and infrastructure for NikkoAM’s US business, as well as investment manager selection and due diligence functions for NikkoAM’s World Series Platform. Prior to Nikko, Frank worked at Zurich Capital Markets, where he managed the Middle Office and Management Reporting functions. Frank was also Chief Operating Office of Parker Global Strategies, where he was responsible for Finance, Operations, Client Support, Technology, and Human Resources, and served on the firm’s Investment and Risk Management Committees. Prior to PGS, Frank was a Managing Director and Senior Vice-President at Greenwich NatWest, where he was responsible for the Global Product Control and Management Reporting functions, managing teams of professionals in London, Connecticut, and New York. Prior to Greenwich NatWest, Frank was a Vice-President at Salomon Brothers, where he managed the mortgage whole loan Product Control function and subsequently led the preparation of the first budget and business planning process for the firm. Frank has also served as CFO of a leading SaaS provider of software for the global Event Management industry. Frank began his career at Coopers & Lybrand in 1982. He received his Bachelor of Science in Business Administration with a major in Accounting from Georgetown University. Frank is a Certified Public Accountant, and is licensed in the State of New York.